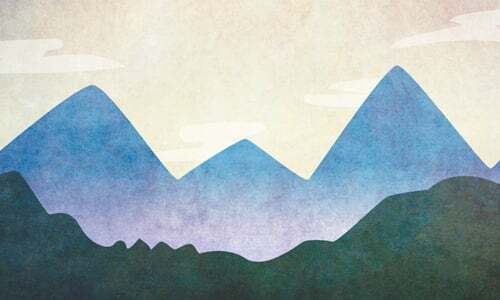 There is a well-known Midrash that explains that Mount Sinai was the lowest of all the mountains, and so G‑d chose it to teach us a lesson in humility: If you want to be a vessel for the Torah, you must feel yourself to be lowly and humble. This, however, leads to the question: If G‑d wanted to teach us a lesson in humility, why give the Torah on a mountain in the first place? Wouldn’t a valley be a better representation of humility? The answer is that we need both: the greatness of a mountain, but the humility of Sinai. This dichotomy is expressed beautifully in the Parshah itself. One of the main mitzvahs featured in the Parshah is the Yovel (Jubilee). Every 50 years, the figurative reset button is pressed. All Jewish slaves are set free, and all land that was sold since the previous Yovel is automatically returned to its original owners. What is the point behind this reset? Why did the Torah institute such a mechanism, where all transactions become undone and everything reverts back to its original status? There are two very different and profound answers found in the works of the Rishonim (early commentators). According to the Chinuch (an anonymous 13th-century commentary on the mitzvahs), G‑d wants us to remember that everything belongs to Him and is controlled by Him. As a person goes about conducting his business and acquiring wealth, he can begin to develop a sense of self-importance. He can start to feel like he controls his own destiny and that he alone is responsible for his great successes. So every 50 years, G‑d reminds him that He is in control. Whatever this person may have acquired is returned to its original owner, and he realizes that only G‑d can control who ends up with what. The Yovel, then, is a lesson in humility. It reminds the person of how small he is and how little power and influence he has over destiny. It’s G‑d who runs the world, and only He will decide who gets what. Ralbag (Rabbi Levi ben Gershon) approaches the Yovel from another angle. A person who needs to sell himself as a slave or sell his property is generally from the ranks of the poor and destitute. Such a person can easily lose all hope of ever becoming successful again, and his life can spiral downward until he feels like he has nothing left to live for. To prevent this from happening, G‑d instituted the Yovel. Even if a man becomes so desperate as to have to sell himself as a slave and sell his home, he need not despair. There is light at the end of the tunnel, and hope for a better future. Come the Yovel, he will automatically regain his freedom and have his home and property returned to him. This knowledge keeps his spirits up even while he is in his difficult state, and gives him a reason to keep persevering for a better future. The Yovel, then, is a lesson in pride. It reminds a person to remain strong and hopeful even when things are looking down. It tells him that he will never be truly defeated, and that he always has the ability to turn things around again. The Yovel speaks of strength, pride and perseverance, and at the same time of humility and human fragility. It is thus the mitzvah which best captures the paradox of Mount Sinai, the mountain of humility. The lesson is clear: In life, a person must assume both attitudes. He must constantly juggle his humility and pride. There is great danger in exaggerating one attitude at the expense of the other. A person who focuses too much on his frailty and smallness can become stagnant and unmotivated. Why work hard and persevere, when he has so little say regarding his success in life? One needs self-belief and strength of character to stay motivated and keep persevering. On the other hand, if a person gets too caught up in himself, it could lead to a false sense of power and invincibility. Strength of character can easily turn into arrogance, and he could forget about G‑d. One needs humility as well. He needs to keep in mind that ultimately G‑d runs the world, and we must therefore submit ourselves to His will. We must aspire to be like Mount Sinai—the quintessential humble mountain. Rabbi Sholom Kesselman lives in Los Angeles, Calif. He teaches Chassidus at Yeshiva Ohr Elchonon Chabad, and advanced Talmud at Cheder Menachem junior high school. In everything we do it is important to remember that Hashem gets all the credit. Our society teaches us to try and always be number 1 but only Hashem is number1. We are nothing without Him yet we insist on doing things on our own.